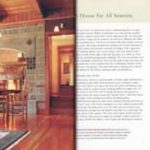 Arts & Crafts Homes, A Overview of the book New Arts and Crafts Houses by Neill Heath: “Inpsired and Site-Specific” (features the Pearson/Hagen Residence), Fall Issue 2006. Register Guard, Home and Garden: “A Timber Framed Home” (the Hollander Residence), March 9, 2006. New Arts and Crafts Houses, Neill Heath. 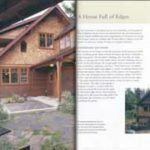 Three of my homes (the Gorski Residence on Whidbey Island, Washington; the Hollander Residence in Lane County, Oregon, and the Hagen/Pearson Residence in Eugene Oregon) are featured in this book written to demonstrate the application of Arts and Crafts principles in houses designed today. 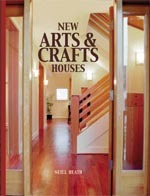 The New Arts and Crafts House is published by Harper/Collins Publishers in the Harper Design series of books. This book was released in January of 2006. Celebrating the American Home: 50 Great Houses from 50 American Architects, by Joanne Kellar Kouknight. 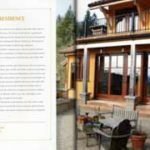 My design for the Tilson residence is featured in this book. A panel of 5 architects reviewed over 400 house designs in order to choose the 50 best houses Taunton Press has ever published. 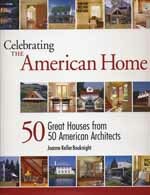 Celebrating the American Home is published under the joint imprint of AIA/Taunton Press and was released in April of 2005. 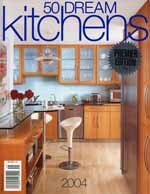 Fifty Dream Kitchens, featuring the McMahon residence kitchen. 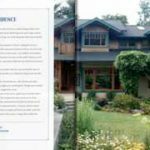 A new book published by Better Homes and Gardens. Released October 2004. The Nature of Order, Christopher Alexander. Several of my architectural photographs of Mr. Alexander’s work are featured in Volume Three: A Vision of a Living World. Register Guard, Home and Garden: “True Blue Americana” (the Wilken Residence), June 26, 2003. Register Guard, Home and Garden: “Home Sweet Sanctuary” (local Patterns of Home book tie-in story), January 30, 2003. Patterns Of Home, Murray Silverstien et.al. 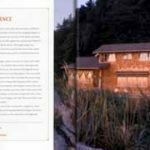 Four of my homes (Tilson Residence, Hagen/Pearson Residence, Katul Residence, Johnson Residence) are featured in this book written to demonstrate the patterns described first in the Pattern Language, 1977 by Christopher Alexander, Murray Silverstein, et. al. 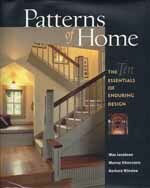 Patterns of Home is published by Taunton Press and was released in the Fall of 2002. Opinion/Editorial Piece: “In Courthouse Dialogue, Plan and Site not on Speaking Terms” (regarding new federal courthouse in Eugene designed by Morphosis), Register Guard, June 6, 2002. 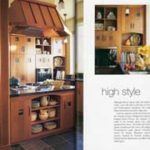 Beautiful New Homes Magazine, “Crafted Kitchen” (McMahon Residence), Winter 2002. Register Guard, Home and Garden: “Sustainable Soulmates” (Johnson Residence), October 11, 2001. 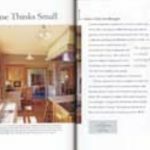 Better Homes & Gardens, “Matters of the Hearth” (The Woolley Residence), Spring 2000. Register Guard, : “Retail Center Celebrates First Year” (Meridian Building),November 14, 2000. 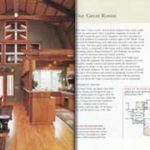 Better Homes & Gardens, “Natural Manor” (The Gietter Residence), Fall 1999. 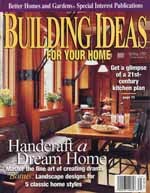 Better Homes & Gardens”A Simply Splendid House (Pearson/Hagen Residence), October 8, 1998. Better Homes & Gardens”The House with Custom Comforts” (Green Residence), March 12, 1998. 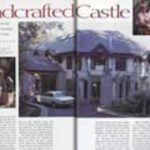 Better Homes & Gardens, “Handcrafted Castle” and “Join the Timber Frame Brigade”, (The Woolley Residence), Spring 1997. EcoBuilding Times, “The ERH Project” (with Rob Thallon), Summer 1995,V.3,N. 1. Eco-Design Arts Conference 1995, University of Oregon: “Sustainable/Regenerative Design Showcase”. Better Homes & Gardens, “Perched Over Paradise” (The Robathan Residence), Summer 1995. Country Home Magazine, “Pieces of a Colonial Past” (The Wilken Residence), August 1994. Pacific Northwest Magazine, “A Yankee in Eugene” (The Wilken Residence), May 1994.